Old classic hybrid with small-sized rosettes of colourful leaves, turning glossy cherry red or dull maroon, according to season, light, temperature. 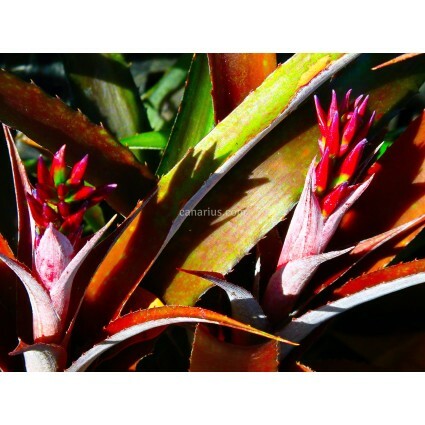 It is a cross between the tropical Cryptanthus bahianus and the frost-hardy Billbergia nutans, so it is a cold-proof Cryptanthus-like plant, good for terrariums! Old classic hybrid with small-sized rosettes of colourful leaves, turning glossy cherry red or dull maroon, according to season, light, temperature. 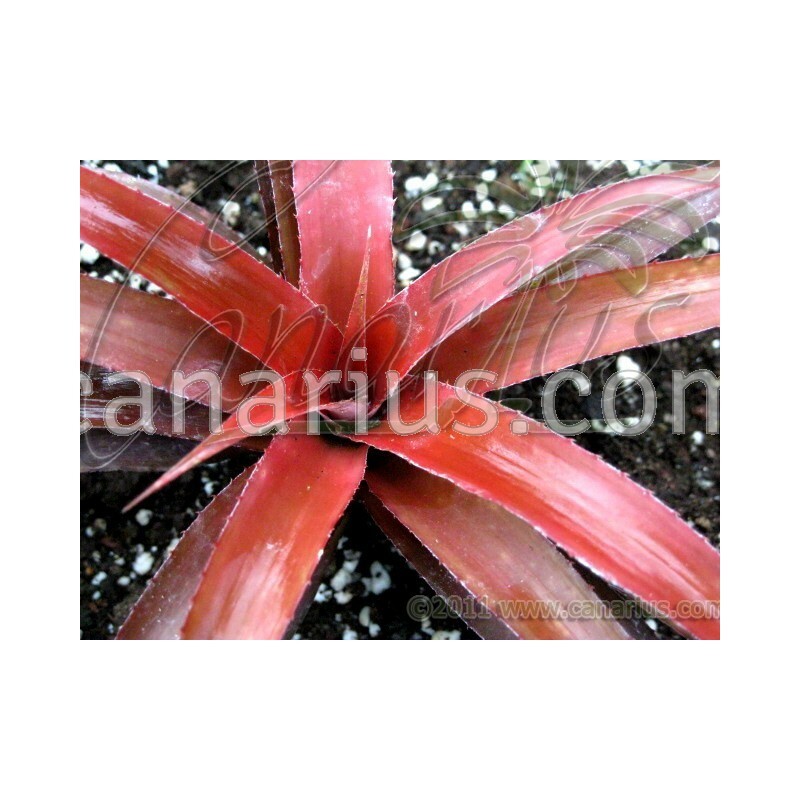 x Biltanthus 'Red Burst' is a small nice ornamental, good for terrariums or small spaces. It can be grown as a Cryptanthus but it has more cold-tolerance, to about -2 C.
It is a cross between the tropical Cryptanthus bahianus (Seed Parent) and the frost-hardy Billbergia nutans (Pollen Parent), so it is a cold-proof Cryptanthus-like plant, good for terrariums! This plant was formerly called x Cryptbergia 'Red Burst', but now the correct name is "Biltanthus"
According to the Bromeliad Cultivar Register, this Biltanthus was created before 1952 in California. We offer one rooted plant of Biltanthus, of 10-15 cm, able to flower in one or two years.